Wooden panel fences can add a beautiful finishing touch to your lawn. 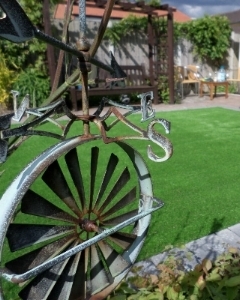 They are overwhelmingly the fence of choice for thousands of home owners in the UK. Many people opt to have a professional install a fence for them, but there are others who love DIY. Wooden fences look beautiful but won’t last long unless they are protected with concrete posts and concrete gravel boards. Concrete gravel boards are the best way for keeping your fence panels away from the ground. Over time prolonged exposure to moisture can damage your wood and cause it to rot if it is sitting directly in the soil. Concrete posts also help act as a buffer between the wood and the moisture. Concrete doesn’t rot so using these two methods to help erect your fence is the best possible way to help preserve the life of your fence. It goes without saying that you should also treat your wood with a sealant that will help prevent moisture sinking into the wood. 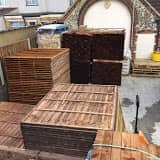 At G&G our wood panels are sold pre-treated but we would advise that you help prolong the life of your fence every two years with a solvent-based treatment to help ensure that it will stand for at least 15 years. The following steps are for installing your fence with concrete gravel boards and concrete posts. You will definitely need a helping hand to put this together! 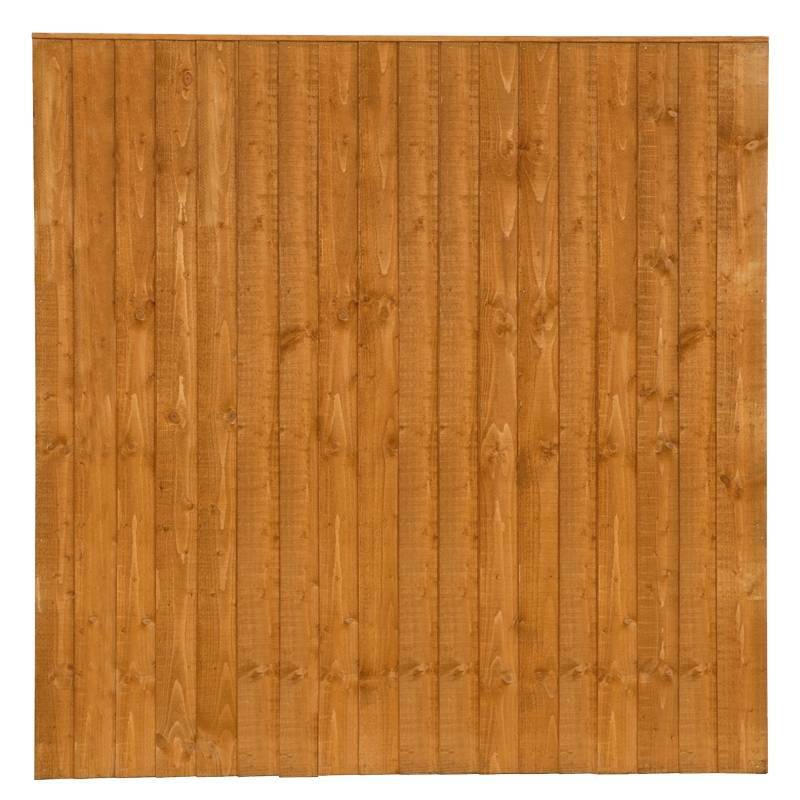 The gravel boards, the posts and the wooden fence can all be purchased online from G&G. Where you are building a brand new fence, it would be advisable to use a detector to ensure that there are no underground cables or pipes in the area where you wish to build your new structure. If you have any doubts, or you don’t have a detector then get an expert to do this for you. Where necessary, discuss your fencing plans with your neighbours, and ask for permission to access their property, as it is much easier to work on a fence from both sides. Important: you need approximately a 2ft longer post than the finished height of your fence, e.g. 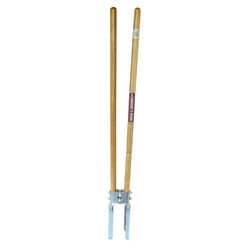 if you are planning to build a 6ft high fence you will need an 8ft high post. 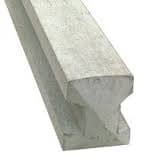 Concrete posts are the best for building fences. 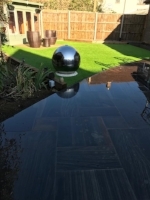 Using either a 6” or 12” deep concrete gravel board, in conjunction with the slotted concrete posts, this allows the panel to sit on top of the gravel board thus avoiding direct contact with the damp ground, and prolonging the life of your fence. Clear the area that you propose to build your fence on first. Mark the boundary line using a strong piece of string or builder’s line; this will also keep the fence as straight as possible. Dig the first fence post hole 2ft feet deep. Make the hole roughly a spades’ width wide so that you have space to put concrete around all sides of the post. Place the fence post into the hole and fill it with concrete. Use your spirit level to ensure that the post is upright, both ways, and in line with your string line. Measure a length of 6ft on the ground from the first post to indicate where the next post should be dug. Dig the second hole, and then you are ready to put up the first panel. Attach the panel to the first post. If using timber posts, you can either use panel clips, attaching them first to the post and then the panel, spacing them evenly on the panel/post. Place the second post into its hole and secure to the first panel, ensuring that the post is straight, using a spirit level. 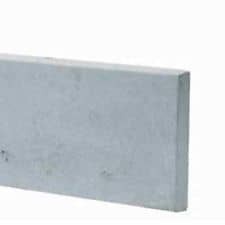 If using slotted concrete posts, just slot the panel into the space and continue as above, ensuring that the panels are firmly in place within the slot on the post. Place the concrete gravel board on the ground first slotting it into the post, ensuring that it is firmly in place; ensure the gravel board is level. Place the panel on top of the gravel board and slot firmly into the post. 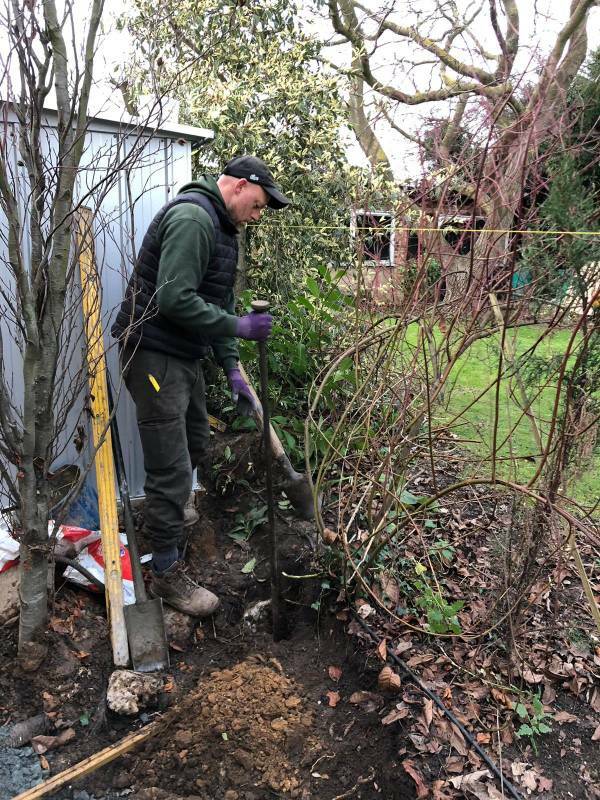 Then getting the next concrete post put it into its hole ensuring that it is firmly fitting the panel and gravel board. 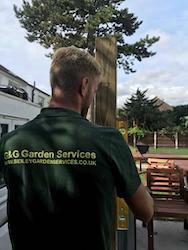 As you go use the spirit level to ensure that all of the posts are straight. Repeat the procedure with all the posts. 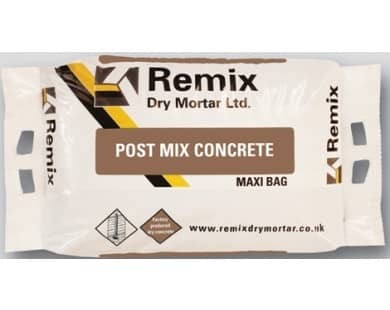 For each post hole you will need approximately 40kg of “postmix” product 2 Bags .The quantity of concrete is dependent on the size of hole you have created. Mix the cement and ballast together whilst dry, then add the water and mix to the consistency of thick porridge. Put the concrete into the hole with the shovel. Compact the concrete in the hole ensuring it fills all the gaps around the post and rubble which is holding up the post. With each post you fill keep checking the position of the post and adjust to ensure it is straight. When everything is dry you will see that you’ve built a fabulous new fence! Excellent panels better than I anticipated. Fast delivery . Very good service from start to finish. I would gladly reccommend G&G fencing.